Marit Skivenes is a professor at the Department of Administration and Organization Theory and the director of Centre for Research on Discretion and Paternalism, University of Bergen. 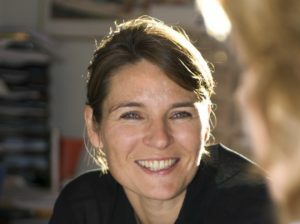 Skivenes completed her PhD in Political Science at the University of Bergen in 2002. Post PhD, she worked two years as a researcher at the research institute “Fafo” in Oslo. Later she spent three years at the Centre for Child Welfare at the Faculty of Psychology (UiB), as associate professor and head of the Centre. She then continued to work three years at the Department of Social Education at Bergen University College, first as an associate professor and later as a professor. In 2016, Skivenes received the prestigious Consolidator Grant from the European Research Council to conduct ground-breaking research on discretionary decision-making. Marit Skivenes and Katrin Kriz was awarded the ISW prize for best article published in 2015 with the article “Challenges for marginalized minority parents in different welfare systems: Child welfare workers’ perspectives“. For complete overview of all of prof. Skivenes’ publications, please go to the Cristin-database here. Chair and principal investigator for the Centre for Research on Discretion and Paternalism. Principal investigator for the research project “Discretion and the Child’s Best Interest” (University of Bergen). Funded by the European Research Council. 2017-2021. Principal investigator for the research project “The Acceptability of Child Protection Interventions. A Cross-Country Analysis” (University of Bergen). Funded by the Norwegian Research Council (FRHUMSAM). 2017-2021. Principal Investigator for the research project «Adoption as a Child Welfare Measure» [Adopsjon som et barnevernstiltak, in Norwegian] (Marit Skivenes, Hege Helland, Øyvind Tefre), The Norwegian Directorate for Children, Youth and Family Affairs. 2016-2018. Coordinator for the Child Rights Unit at Centre on Law and Social Transformation. Principal Investigator for the PRO BONO group at the University of Bergen. Principal investigator in the research project “Legitimacy and Fallibility in Child Welfare Services – A Cross-Country Study of Decision-Making” (Marit Skivenes, Tarja Pösö, Jill Berrick, Jonathan Dickens, Anne-Mette Magnussen, Line Sørsdal), The Norwegian Research Council (VAM) 2012- 2017. Organizer of the fourth “Colloquium on the United Nations Covention on the Rights of the Child Implementation Project (CRC-IP)” together with Karl Harald Søvig. Funded by the Norwegian Research Council (VAM). April 2017. Principal Investigator for the research project “The Norwegian Child Welfare System in a Comparative Perspective” (Marit Skivenes, Katrin Kriz, Heidi Skramstad, Øyvind Tefre, Milfrid Tonheim), The Norwegian Research Council (FRISAM) 2010-2017. Volume co-author (togheter with Jill Berrick and Neil Gilbert) on “Handbook on Comparative Child Welfare Policy» as part of the Oxford University Press International Social Policy Library. 2016-2019. Book project: “Children´s participation in child protection – street level bureaucrats exercise of discretion” (Marit Skivenes, Katrin Kriz). 2016-2018. Inger Kristin Heggdalsvik, project: High-risk family conflicts. Kristine Irene Opheim (UiB), Trond Helland(UiB) and Silje Amalie Eikeland Rose (UiB). Keynote speaker at the Nordic Congress on Child Welfare; 2015-08-26 – 2015-08-28. Turko, Finland. Keynote speaker at the 25th Anniversary Conference of UNs Child Convention – “Protection of children against violence and sexual abuse”; 2014-11-10. Oslo, Norway. Presentation at the seminar “Internasjonale perspektiver på vold” (International perspectives on violence); 2016-11-03. Bergen, Norway. PechaKucha-presentation at the PechaKucha tour hosted by Forskerforbundet (The Norwegian Association of Researchers). Title of presentation “Statlig overgrep eller vern av barn? (State abuse or protection of children? ); 2016-10-26. Bergen, Norway. The presentation can be seen here. Presentation for the Ministry of Children and Equality; 2016-06-10. Oslo, Norway. Presentation at Bergen Exchanges hosted by Cenre on Law and Social Transformation. Title: “Taking Custody in the best interest of the child”; 2016-04-06. Bergen, Norway. Presentation at “Kommunikasjonsfrokost” (Communication breakfast). Title: “Forskning i et minefelt: Barnevern og endring av policy” (Researcing in a mine field: Child welfare and policy changes); 2016-02-24. Bergen, Norway. Presentation for the Norwegian County Social Welfare Board Leaders. Title: “Terskelen for omsorgsovertakelser – Norge sammenlignet med andre land” (The threshold for care order decisions – Norway compared with other countries); 2014-06-03. Losby Gods, Norway. Presentation for the Norwegian Directorate for Children, Youth and Family Affairs. Title: “Er kvaliteten på beslutningstakingen i omsorgsovertakelser og adopsjoner i barns beste?” (Is the quality of care order decision-making and adoptions in the child’s best interest); 2014-05-08. Tønsberg, Norway. Presentation for the Norwegian Adoption Comittee. Title: “Adopsjon i barnevernsystemet” (Adoption in the child welfare system); 2014-02-12. Bergen, Norway. Skivenes, M. (2016). ”Rettigheter som utfordrer” (Rights that challenges, in Norwegian). Feature in Bergens Tidende, December 1st 2016. Skivenes, M. (2009). ”Et ustabilt, utrygt liv” (An unstable and unsafe life, in Norwegian). Chronicle, Feature in Bergens Tidende, October 26th 2009. Skivenes, M. & Samsonsen, V. (2008). “Den ufullstendige historien om Jesper” (The incomplete story about Jesper, in Norwegian). Feature in Bergens Tidende, September 26th 2008. Skivenes, M. & Trygstad, S. (2006). “Varslere og frykt” (Whistleblowing and fear, in Norwegian). Feature in Dagbladet, November 18th 2006. Skivenes, M. & Hollekim, R. (2006). ”Når barn bestemmer hjemme” (When children decides at home, in Norwegian). Feature in Bergens Tidende, October 13th 2006. Skivenes, M. & Strandbu, A. (2005). ”Kan barn bestemme?” (Can children decide? In Norwegian). Feature in Bergens Tidende, October 7th 2005. Skivenes, M. & Trygstad, S. (2005). ”Når varslere skal vernes” (When whistleblowers are protected, in Norwegian). Feature in Bergens Tidende, April 1st 2005. Skivenes, M. & Trygstad, S.(2005). ”Lojale varslere – lojale overfor hvem?” (Loyal whistleblowers – Loyal to who? In Norwegian). Feature in LO Aktuelt, May 9th 2005. Skivenes, M. (2004). ”Trynetillegg eller god sosial kompetanse” (Individual skills or good social competence as a measurement for salary, In Norwegian). Feature in Dagbladet, February 16th 2004. Skivenes, M. & Gautun, H. (2003). ”Fysisk refselse av barn – et resultat av uvitenhet og utydelig lovgivning?” (Corporal punishment of children – a result of ignorance and unclear legislation? In Norwegian). Feature in Bergens Tidende, August 26th 2003. Skivenes, M. (2001).”Lovlig hemmelighold i internasjonale saker” (Legal secrecy in international cases, in Norwegian). Feature in Aftenposten, December 28th 2001. Skivenes, M. & Myklebust, R.N. (2001). ”Nøkkelen til offentlighet”. (The key to governmental transparency, in Norwegian). Feature in Bergens Tidende, April 24th 2001. Skivenes, M. & Eriksen, E.O. (2000). ”Barnevern, vitenskap og politikk.” (Child welfare, Science and politics, in Norwegian). Feature in Dagbladet, November 13th 2000. Skivenes, M. & Eriksen, E.O. (1997), “Til barnas beste” (In the child’s best interest, in Norwegian). Feature in Bergens Tidende, February 6th 1997. Skivenes, M. & Eriksen, E.O. (1996) “Hvem skal ha omsorg for barnet?” (Who is supposed to have custody of the child? In Norwegian). Feature in Dagbladet, November 9th 1996. “Hatet mot barnevernet” (The hatred against child protection services, in Norwegian). Bergens Tidende, 3. juni 2017. “Statens rolle overfor familien” (The governments role in family life, in Norwegian). Dagen, 16. mai 2017. “Forsker på omsorgsovertakelser” (Researching on child protection care orders, in Norwegian). Fontene, 15. februar 2017. “Fikk 18 millioner kroner i stipend” (Received 18 million norwegian kroner in scholarship, in Norwegian). Bergens Tidende, December 15th 2016. “Ny forskning om fosterhjemsplassering: – Barna blir ikke hørt” (New research on foster care placements: – Children are not heard, in Norwegian). NRK, January 15th 2016. “Fylkesmannen åpner tilsyn i «Amalie»-saken” (The County Governor opens supervision in the case of “Amalie”, in Norwegian). NRK, November 18tth 2011. “Tolketull i barnevernet” (The problem of interpretation in the child welfare system, in Norwegian). Bergens tidende, May 6th 2009. Theoretical focus: Argumentation Theory – Deliberative Democracy – Discretion and decision-making in Organizations – Freedom of Speech – Paternalism and Welfare – Political Theory – Quality of Public Administration. Empirical research themes: Access to public information, Child’s Interests, Child Protection Systems, Child´s Rights, Decision-Making Proceedings, Migration, Public Debate, Public Policy formation, Transparency, Welfare State Systems, Whistle-Blowing, Wrongdoing in Organizations. Some super-interesting papers about how the European Court of Human rights justify their decision about children´s rights. One of them examines how the Court understands family relations for children that will not be reunified with their birth parents. Should they grow up in public care to at least maintain the legal bonds (de jure) between parent and child, or is their de facto relations with foster parents or adoption parents decisive. The Courts decision in these cases set a precedent for member states. We believe we see tendencies towards a more child centred court. Where are you best able to think? Many places. I like variation, and I have some favorite cafes in which I can have coffee and work very concentrated. But, my office at the university is a good spot and likewise my workspace at home. A big mess. Always too many things going on, and I do not put things back in its place (which is hard to admit, as I would really like to be an orderly person). How does a typical day at work look like for you? Up early, coffee and working on a paper (fun) or answering email (less fun). Getting my boys up, dressed, breakfast, “matpakke” – it’s a wrap-around-service to get them out the door. Walking to the office at the university, and get a second wind with meetings and some more writing and reading. Supervising students and teaching classes, working with smart and energetic research colleagues, developing new ideas and finding solutions to problems. Ha, ha, I will not go there. Is there a specific book within your field you’d recommend? Yes, Communicative Action by Jürgen Habermas. For me, that was a turning point in my research career. If you had to choose a different field, what would it be? Hmm, difficult – clearly there are many very interesting jobs. Maybe an investigative journalist, or an Ombudsman for Children, or lead the charity work of a really, really wealthy organization. Is there a book you’ve read that you’d like to read again, and why? I never read a book twice, except when my boys were younger and I read for them. And then there are many books to recommend, as there are so many good children´s books. After we stayed a year in California we could read books in English for a while, and we read a lot of the amazing books written by Julia Donaldson (she wrote the Gruffalo) and illustrations by Axel Scheffler. Supergood. What show are you binging? Well, a bit embarrassing as it is still Flash. Just now Season 4 of Flash is out on Netflix, and my sixth grader and I have parked ourselves in the sofa following a crowd of meta humans saving Central City from destruction. The stories are less, and less convincing (it is season 4), and in our opinion it is clear that this must be the last season – but we´ll hang in there to the end. Other that, it is the Late Show with Stephen Colbert – a must. However, the BIG thing this semester is coming April 14th – Game of Thrones, and we have started the runup and are watching previous seasons. Which podcast are you listening to right now and why? Well, here I am in between. The Daily from New York times is good. “Politisk kvarter” keeps me oriented on the Norwegian stuff, together with Aftenpodden. And, not as often as before, I listen to Real Time with Bill Maher, WTF with Marc Maron and Here is the Thing with Alec Baldwin. Who would you take with you on a desert island? Actually, some years back I did end up at a deserted island, at Cuba – we were diving and were taken to an Island. Beautiful, and totally empty – not a single person – only rows of empty beach beds. Very strange, we were told that this place was only allowed for cruise boat tourists (and the occasional diver boat as us that sneaked in). But, returning to the question, for a deserted island I would be selfish and bring all my boys, including the cats. Make it a family happening, and an opportunity for us all to build character. Finally: Your friend sets you up on a date with someone famous – who do you hope turns up? OMG, there are so many, so this is easy: Number one would be Ricky Gervais, he is extremely funny and has an exceptional ability to observe people’s peculiarities. If Gervais cannot make it, I would hope for Trevor Noah, the host of the Daily Show – enormously funny and smart, and then its Jerry Seinfeld of course, and John Oliver, and Samantha Bee, and John Stewart and, not to forget my longtime favorite Stephen Colbert. Research Centre at the University of Bergen. We study government’s use of power towards its citizens, and justifications thereof. Focus on children's rights and child protection.